Choosing the proper test is critical to the care of your patient. However, your decision can be based on many factors. MRI is generally the gold standard. In situations where results are extremely time sensitive (head trauma, disk disease), MRI is not available, cost is a limiting factor, or time under anesthesia is critical then a CAT scan may be a better diagnostic test. Occasionally, both tests are indicated if the disease might involve both bone and soft tissue. 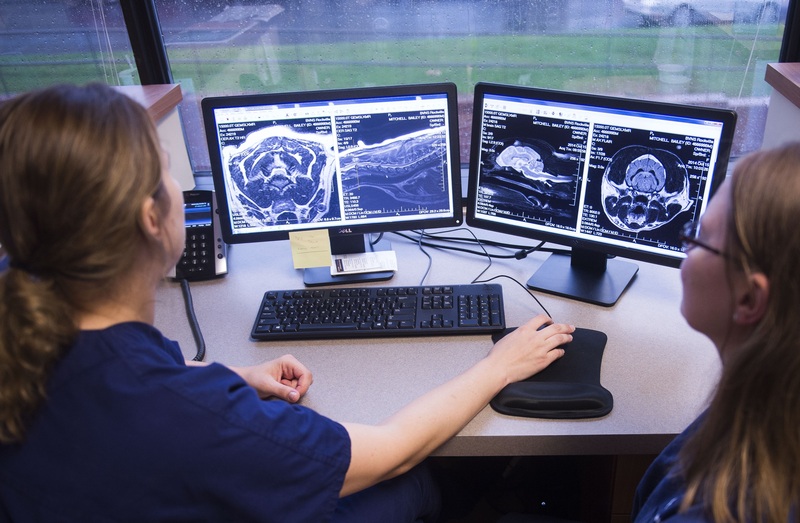 Our Medical Director, Dr. Uzzle is available to discuss questions on which test is recommended in a particular situation, he can also draw on his extensive experience and on the expertise of a team of board-certified radiologists. For more information please contact us and refer to the following general guidelines for selecting MRI and/or CAT Scanning.